The Alumni House is the center of activity for the Office of University Advancement and the Northwest Foundation. The Alumni House, located on College Avenue across from the University campus and its historic Thomas Gaunt House, is the center of activity for the Office of University Advancement and the Northwest Foundation. Known to local residents as the Townsend home, a group of Northwest alumni purchased the property in 1980 with the vision of making it a permanent home for alumni activities and services. Beautifully restored within its original architectural structure and high standards, the Alumni House is the focus for university and alumni activities, including many special occasions during the University's annual homecoming celebration, the holiday season and throughout the academic year. Annually, thousands of Bearcats enjoy the warmth and ambiance of the residence that has truly become the home of all Northwest alumni. 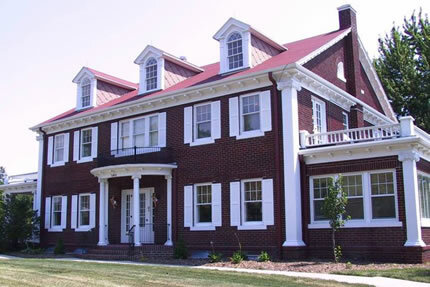 The Alumni House is owned and maintained by the Northwest Foundation, Inc. Purchase, renovations and repairs have all been made possible solely through private contributions.